So Xeterous is a web based project that aims to be a hybrid between a 3D video game and text based role playing. I already bought a domain name (xeterous.com), but the only thing you will see on it is a 3D spinning cube. I'm close to finishing my 3D engine, so expect to see some actual content up within a month. This is a pretty serious project, I'm looking to hire some artists, and once a basic site is up, I will probably start hiring some software engineers to help with the development. I would really love your feedback on the ideas or on mechanisms that would make this site great. Xeterous will be a user driven, fantasy based, role playing website. One major problem with books, and Movies is that you are confined to the story laid out before you, and even video games confine you to what has been pre-programmed. Xeterous aims to solve these issues by providing an environment and setting for people to create their own adventures and stories with others. Items, skills, monsters, locations, and just about everything else are created by players and shared with the world, enhancing it and driving it forward. Initially the site will be mainly text based. One of the key principles of launching a product that people will enjoy, is to tailor it to people’s wants and desires, and I plan to rapidly iterate when I have user feedback to accomplish this. I do have a lot of ideas on how I want the final version to look, such as an advanced character creator what will create an interactive 3D avatar displayed with all of your posts. To start with, each user will create a character profile that allows you to interact with other characters. Not only will your profile have a character bio, picture, and achievements, it will include many social aspects similar to facebook’s wall. Once a character is created, you can create or sign up for a quest. Quests are simply user created story threads that take place in the world of Xeterous. When a quest is created, the creator can filter user types that are allowed to join based on character level, experience, race, achievements, or character location. The creator will then introduce a setting/background for the quest and choose how the quest will be shared. Experience will be gained by participating in quests. Each post will earn you a small amount of experience, but other people will have the ability to upvote or downvote the amount of experience the user gets. This will help reduce spam posts in quests and encourage people to contribute quality story segments. The lore and setting of Xeterous will be shaped by stories and quests created by users. While people won’t be limited in what they can do in their quests, the quests with a higher tier will have more of an impact on the future lore as well as increased experience, skill points, gold and bragging rights. Tiers are determined by the creator of the quests and are based off of the level requirements for the quest. Global staff-led quests will be created now and again to address issues that again will affect the future lore of Xeterous. The idea is rather simple at the moment, but I plan to add a lot more gaming elements into the mix over time, especially with html 5 canvas. It is a canvas that you can draw 2D and 3D elements into on a web page that doesn’t require any downloads or updates (as long as you have a modern browser). I’ve already made several 2D and 3D games with the canvas element so it shouldn’t be a problem incorporating it into the site. The background story is still being worked out, but here is my current working background: Xeterous is a world based on myth and legend. A recent cataclysm has rendered the world a dangerous place. The five major races who have constantly been at war are now forced to work together to reclaim their world and build a new era. Many are still stuck in the old way of thinking and are using the current circumstances to gain their own political agenda. It is up to you to fight for your world, your race, or just yourself. Xeterous itself is set in a medieval era, but the range of technology ranges widely between the five major races. For example, the Zarathan live as one with nature and thus possess very little in the way of technology. Yet the Ahsai, using their superior craftsmanship and magic, construct massive buildings and create simple machines powered by magic. Most of the inhabitants are religious and believe that the ancient deities watch over them and fill the world with a force known as [name pending]. Talented individuals are able to bend this force to their will thus using magic. Each race have their own guardian deity that they believe watches over them. On top of that, many other deities are believed to exist, one for almost every force in nature. Of course, not all believe in the deities. Each character has the ability to buy/create items and skills for their character. Since Xeterous is not intended to be limiting on what items and skills your character can use, you will have the ability to create any item or skill you wish. As Characters progress through quests, not only will characters gain experience, but also skill points and gold. You will be able to exchange gold for items and skill points for skills. The amount you spend on a skill or item will determine how many stat points you will be able to put into that skill or item. You will be able to distribute the stat points however you want into categories such as attack, defence, agility, fire damage, etc. You will be able to name and describe your item/skill however you like, and you will also be able to upload an image for your skill/item, or pick a stock image. Finally, you will have the choice to put your item/skill in the store and allow other users to buy it. Monster/Enemy creation works very similar to item/skill creation, except you do not need to use skill points or items to create them. You will have the ability to give the monster/enemy any stats and skills you wish, as well as a name, description, and image. Like items and skills, you have a choice to make your monster/enemy public and allow other users to use it. The point of creating items, skills, and monsters is not only to customize your character, but also to allow your character/party to participate in battles during quests. It is not required for a user to use the built in system for combat if they don’t want to, but using the built in system gets your party extra gold, experience, and skill points based on how strong the monster/enemy is. Anyone can initiate a battle from within a quest and select which monsters you will be facing or randomly generate an enemy to face. Players are able to select which enemy to attack and with which skill. This reduces the enemy’s/monster’s health, and when it reaches 0, they die and your party gets the rewards. The details of how the battle are carried out are left up the the characters to write and describe. Likewise, monsters/enemies will randomly (or smartly) use their skills on players, reducing the character’s overall health. If a character’s health reaches 0, they will be unfit for battle and no longer be able to participate in the current battle unless healed by another player. If all the players’ health reaches 0, your party was defeated and retreat is necessary. Like most of the other things with this site, the finer details of the battle system have to be worked out, but at this point I plan on using this as a basis for the battle system. After experimenting, this may change. Their ability to adapt, engineer, and face new challenges has led to humans being the most numerous race in the world. Though not the most advanced race, the Human Empire has great manufacturing capabilities enabling them to build massive cities and forge more than enough weapons and armor for their large armies. They believe in a changing world and that they must be the instruments of that change. Though most welcome the idea of a changing world, many different viewpoints exists on what the world should look like. The Zarathan Tribes live very closely to nature. Instead of morphing the land to build structures or crafts, they choose a life with land. Some tribes live in the trees, while other tribes live in simple huts on the plain, but all Zarathan are quick, stealthy, and deadly. They say the goddess of nature looked down on the Zarathan and blessed them with the ability to morph into a creature of nature. All Zarathan are born with an affinity to a particular animal which they can morph into, but through many years of studying and understanding a different animal, they can learn how to transform into them as well. When not in their animal form, the Zarathan look almost exactly like humans except for their eyes, which always remain their animal eyes. 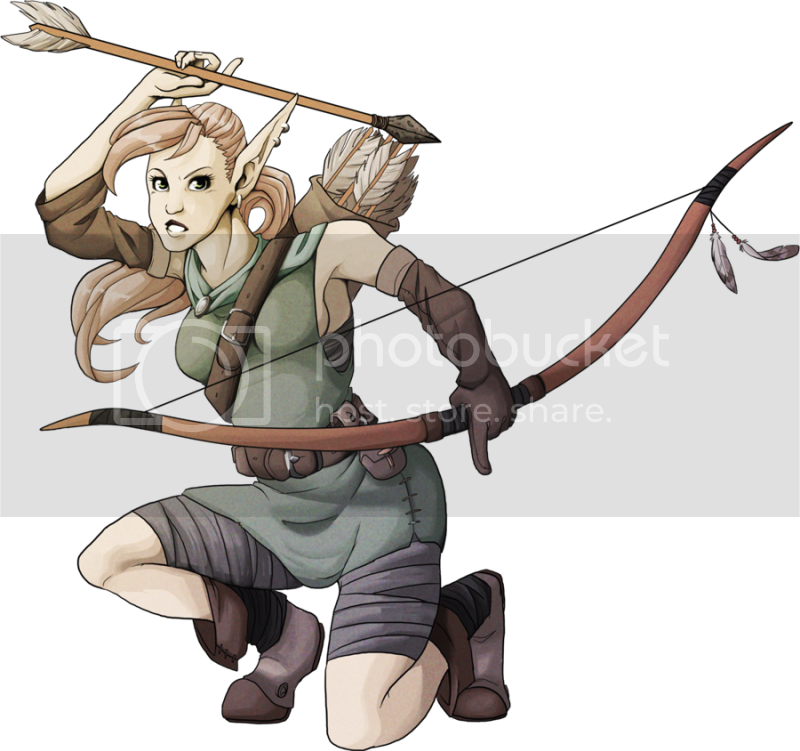 Swift, agile, and cunning, the Ahsai are an Elvish on Xeterous. They value wisdom above all else and have thus become the most advanced race, building vast structures and creating simple machines powered by magic. Like all other races, the Ahsai believe their own race is superior to the other races of Xeterous; however, the Ahsai take it one step further. Though they do not to eradicate the other races, they think of them as tainted and avoid interaction unless it is necessary. 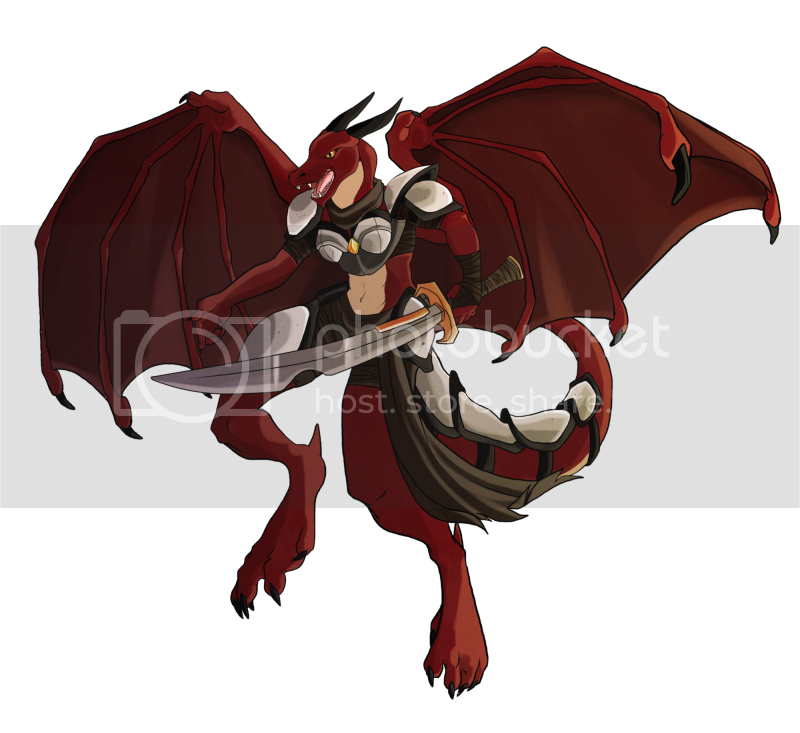 Descendants from the ancient dragons, the Shinro are a proud race and hold honor above most else. Instead of a central government, their society is clan based and summits are held in the city of Keckshio whenever a third of the reputable clans call for one for bringing up foreign or critical issues. There is no voting at the summits, only formal agreement or disagreement from each clan. The leader of the largest clan also becomes the Shinro representative in the council of the five races. Because of this structure, many clans battle other clans for territory and reputation. Other clans choose to ally themselves with each other and work together to create large cities. 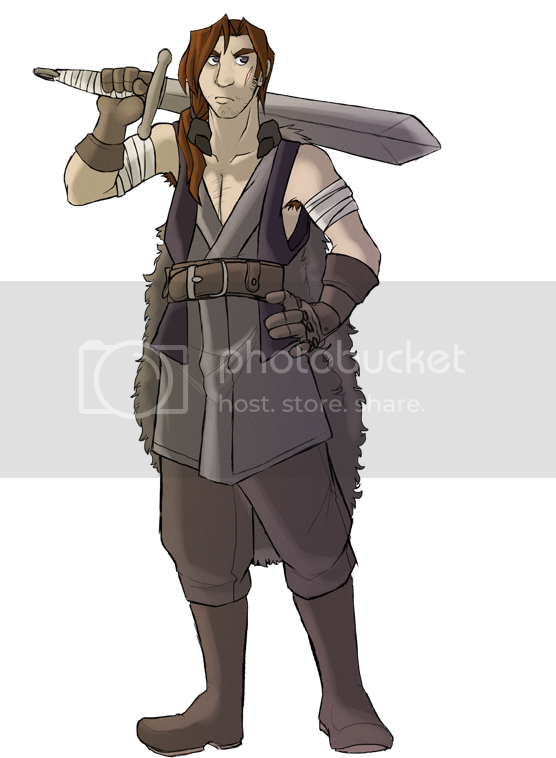 Though a fighting race, the Shinro are do not war much with other races and are instead more focused on their own lands. 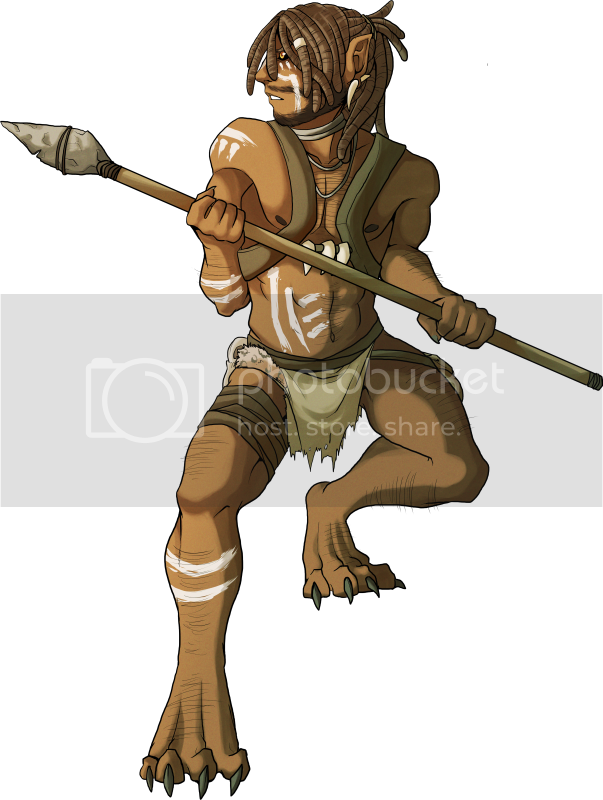 Believed to be the descendants of the fallen deities, the Logash are an often misunderstood demonic race. They live in ancient cities built in the northern mountains where daylight is scarce. Most fear the Logash for being creatures of the night with an unnaturally strong affiliation to dark magic, however the Logash are by no means evil (at least not compared to the other races). In fact, as a nation, they have had little conflict with other nations, this is because the Logash have very little national pride and do not concern themselves with issues outside of their daily lives. Many Logash who love to fight have become mercenaries fighting for whoever pays the most because they feel they have no allegiance to their own nation. This sounds really interesting. Let me know when you get something testable.